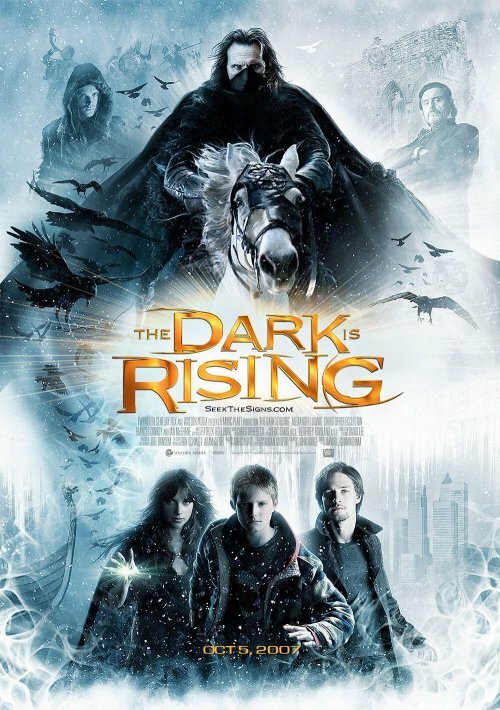 I complained that the last The Dark is Rising poster didn’t tell me enough about the movie. This new one, on the other hand, tells me that the movie is going to be a cheap version of Lord of the Rings. Not sure that is much better. Ok, to be honest the poster doesn’t look too bad. I don’t like the washed out look, but it’s a nice image over all. And in the lower half of the poster we do see some modern looking characters and backgrounds, which seems to indicate that the movie involves some travelling between the fantasy world and the “real” world, which is a somewhat unique element. But it’s still mostly a generic fantasy poster, and with all the fantasy themed films coming out these days you really need something special in order to stand out and get noticed.